We caught up with Kings College Men’s Lacrosse Coach AJ Bungert for a discussion about the Kings College lacrosse program and what he looks for when recruiting student-athletes. Thanks to AJ for taking the time to educate those interested in Kings College! Our change in focus. Our team is focusing on a culture of complete commitment from all of our guys. 100% buy in is demanded of all players. Tough players that will sacrifice their bodies to make the tough plays. Pure fundamental lacrosse players. Non-fundamental play; behind the back passes/shots, swim moves, shovel passes/shots etc. Asking about equipment or using “non-professional” language. Player centered, focused on fundamental play, emphasis on effort. I consider myself more of a teacher to my players than a coach. First contact will establish interest. Schedule a day visit to tour campus and meet with Admissions. Plan recruit day/overnight visit. Follow up on visit. Move towards commitment. Motivated players that focus on developing their game while they are here. Tell us about your transition from player to college coach? I played four years at King’s College then served as a volunteer assistant the year after graduation while attending Graduate school. I then was hired during May of 2016 to be the new Graduate Assistant Coach. I am currently in year one of that title. I am extremely happy with where I am because I have the opportunity to help the program that helped me for four years. We are extremely dedicated to accomplishing what we have never before, a conference championship and a birth in the NCAA tournament. What’s your recruiting strategy going into an event? After an event? I watch the games and determine the types of players that will make the difficult plays such as ground balls and clears rather than the typical goals, assists, and caused turnovers. I watch for fundamental play that we can apply to the systems we have in our program. Once again, thanks to AJ for his time, and best of luck to Kings College this season! 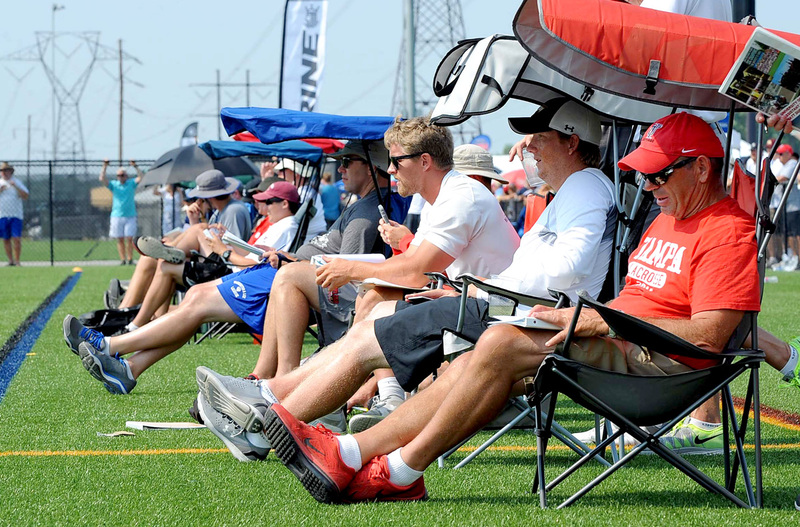 Coach Bungert is one of the many coaches to recruit at our premier showcases. Click below to see the full list of coaches attending our events. Register today!